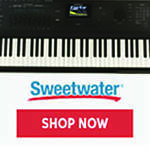 Register Log In Piano World Home Page Forums Digital Pianos - Electronic Pianos - Synths & Keyboards Yamaha NU1X v Kawai MP11SE? After ruling out acoustics I have came down to these 2. I would expect to spend another £1k or so on monitors for the MP11SE. Has anyone got experience of both? I know the NU1X has an upright action rather than a grand. I also considered the NV10, however I just don’t like the design and touchscreen on it. Lastly I though the N2X may come out soon but I could be wrong and end up waiting forever plus the price would probably be too much on release. Thanks you for any help. 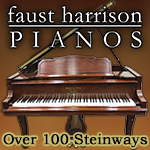 I plan to use it primarily at home for my own use, however I am looking for the most authentic action and purely piano sound I can get. I don't know the Yamaha, but the best piano sounds are found with VSTs, as seems the majority opinion ( I use iOS pianos myself and they are an also ran but still some are pretty expressive and feel great, improving the playing experience even on a mediocre keyboard) Even more so with the best vsts. I would venture to guess from what I have read that both pianos are made in Indonesia. Only the acoustic grands still made in Japan it seems. Kawai portable but heavy, but that doesn't matter to you. Unless you don't want to spend some more dough or don't want to add a computer, forget about the onboard piano sounds of any instrument unless they are perfect for you. If you can. The Yam is probably excellent, too, but neither are "similar" to every acoustic action out there. They are too singular. Just my own unpopular opinion. Have fun! I have experience with neither of these DPs. However, I do have extensive time on both the NU1 and the MP11. Honestly, I like the MP11 action better, it feels very much like a well-regulated grand (much more than the NU1). I have to think that mated to the SK-EX tone, it would be even better. I honestly think the Grand Feel action is still the gold standard for portable pianos, nothing really comes close. The NU1 is a better practice instrument if you're also playing on acoustics of varying quality. It's a bit harsh, stiff, and shallow for my taste, but most pianos out there aren't "perfect" to begin with and the NU1 will prepare you for any of them. I can't say much about the difference in tone between the NU1 and NU1X. But IMO even the 10-year old NU1 sound engine is good enough to practice on, though it has zero resonance and a 3-5 second sustain/decay. 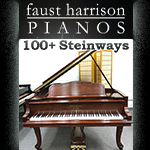 I plan to use it primarily at home for my own use, however I am looking for the most authentic action and purely piano sound I can get. May I ask how you narrowed down your selection to these two rather different instruments? In my opinion, it would be better to decide what kind of digital piano suits your requirements (console DP, compact DP, portable piano, stage piano, etc. 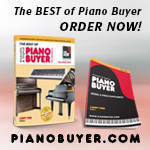 ), then play all of the instruments within that category, and purchase the one that you enjoy the most. For example, why did you select the NU1X instead of a CLP model? Why the MP11SE and not an RD-2000? I am looking for the most authentic action and purely piano sound I can get. Then you have to go back and look at the NV10. Or perhaps a N2. No contest if you want an authentic action. The NV10, IMHO, also delivers the best sound. Last edited by TomLC; 10/16/18 07:55 PM. If it's between the two, I'd go for the MP11SE without question. I'm not really sure what the point of the NU1X actually is. The N1 on the other hand would be a different matter. Regarding the NV10, do you really hate the design that much that you'd consider the NU1X over it? It's arguably the best digital money can buy. Last edited by johnstaf; 10/17/18 01:22 AM.